We braved driving in the outskirts of Atlanta a couple of days ago primarily for some Australian Bread and goodies, but also for some special shops. Clare has been making very good clothes for her 18 inch dolls for some time and was very excited we were going to the home of the American Girl dolls and stores. 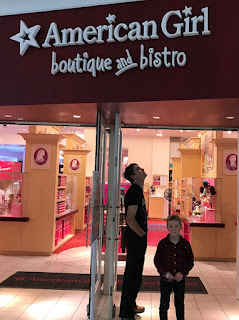 I had no choice but to visit the American Girl store in Northpoint Mall, a huge mall/shopping mega complex. 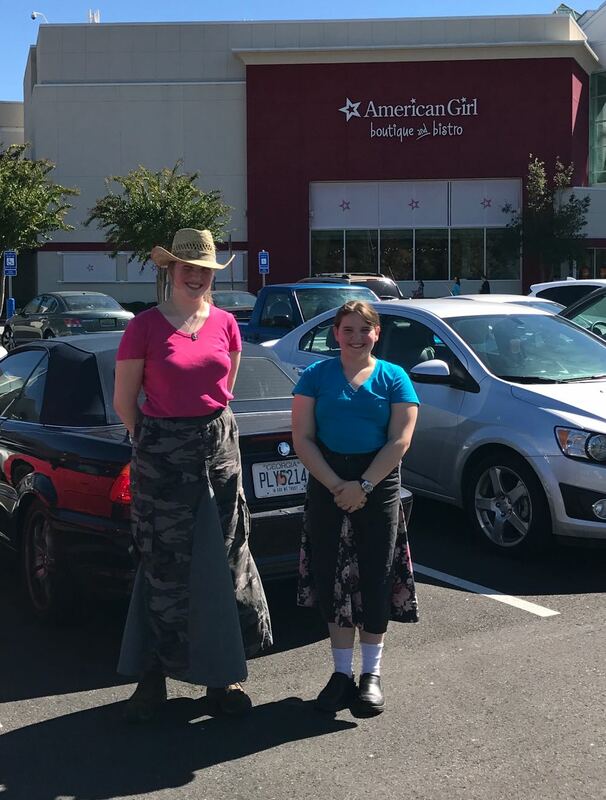 Clare and Rose have been saving their money from working in our store for some time so they could purchase all the special clothes and accessories for their dolls. While the girls all had a good look around the store, Peter, Zach and I went for a wander and browsed in the other stores in the mall. By the time we returned the girls had a rather large bag full of goodies waiting for me to do my job - paying for it. I would transfer the money from their accounts in due course but now I had to get the store to accept my cards which were failing because they were Australian. Finally one of my cards worked and the girls were happily looking through their prizes.